Cusco is the best destination in South America and Machu Picchu is one of the best destinations in the world, however many people do not know how to access the most impressive sites in these places; well, these are the tourist tickets that you need in Cusco and Machu Picchu. Tickets to enter Machu Picchu must be booked in advance, some of them even months before; on the other hand, tickets to access the best places of the city of Cusco can not be reserved in advance and the only way to acquire them is in person and with your passport, once in Cusco. COSITUC Main Office: Tourist Galleries, Av. Sol No. 103 (Monday through Friday 8 am to 5:30 pm and Saturday from 8:30 am to 12:30 pm). Branch: Calle Garcilaso s/n (Monday to Saturday 8 am to 5 pm and Sunday 8 am to 8 pm). There are 4 versions of the “tourist ticket of Cusco”. The comprehensive ticket allows you to access all the best places in the city; but in case you do not have much time, you can choose to buy the partial tour tickets. Below we describe what includes each type of ticket and the monuments and places that include. This ticket includes 16 of the most amazing places in the city. All these places are included separately in the partial tourist tickets of the tourist circuits 1,2 and 3. This ticket will allow you to see the main archeological sites of Cusco, located around the city. Among the places included is Sacsayhuaman; the gigantic stones of its walls, superimposed and fitted perfectly, together with findings of only a few years ago, as a writing of 30,000 years old, make it considered one of the most mysterious places on the planet. Touring the city of Cusco is like touring a gigantic museum; however, it houses other museums and places that show the history and culture of the city, from pre-Inca and Inca times to the present day. You will see pre-Inca sites, such as the archaeological site of Pikillacta in the Southern Valley. The Sacred Valley of the Incas was included in 2017 in the list of the New York Times, as one of the 52 places that have to visit in the world. This beautiful valley was the nerve center of the Inca civilization; in it you can see some of the best constructions made by the Incas and villages lost in time. The Sacred Valley of the Incas is now the Spiritual Center of South America and the town of Pisac, the best place to have this experience. But also this Ollantaytambo, an Inca city lined with other ancient sites built by the most important ancient cultures that have existed. The Machu Picchu tickets should be some of the most desired by people around the world, and unlike the Cusco tourist ticket, this has to be booked in advance; but not all people know that they can choose between 4 types of ticket, each of them allows a totally different experience in Machu Picchu. Some types of tickets must be booked months in advance. Availability is limited. Regardless of the type of ticket Machu Picchu you choose, if you plan to visit between June and August (high season) you must reserve them at least 2 months in advance. However, keep in mind that the ticket that includes the Huayna Picchu mountain (ticket Machu Picchu + Huayna Picchu) must always be booked 4 months in advance, otherwise it is unlikely that you will get one of these. We recommend booking train tickets immediately after booking tickets to Machu Picchu, these are also limited. This ticket will allow you to see the more than 150 structures of the Inca city of Machu Picchu and can be booked up to 48 hours before your visit; however, we recommend you book it at least 2 weeks in advance; this will allow you to have the necessary time to book the train tickets, hotels and other necessary reservations for your trip to Machu Picchu. Group 2 – 200 tickets available. 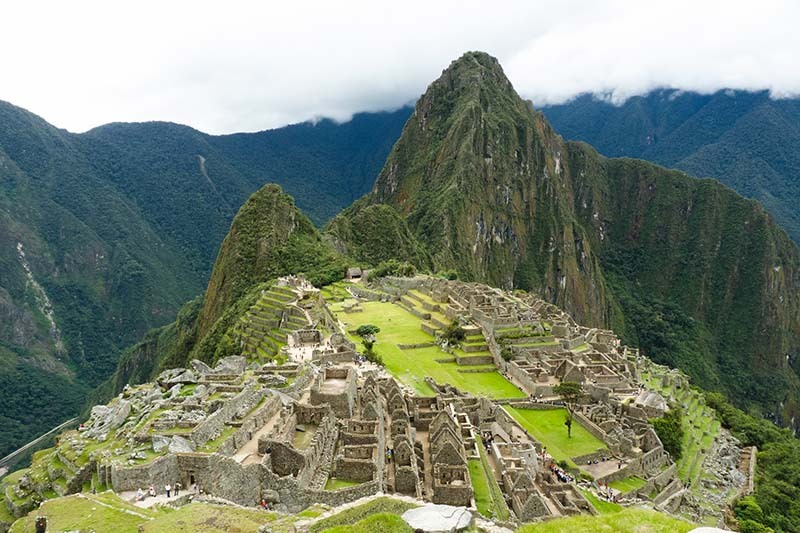 This ticket will allow you to tour the Inca city of Machu Picchu and enter the road to the top of Machu Picchu mountain, where the Inca city is built. This is the ticket we recommend to people looking to see the Inca city of Machu Picchu from above without having to walk visually frightening trails as in the mountain Huayna Picchu. This ticket can be booked up to 48 hours before; however, we recommend you book it a few weeks in advance, so that you have enough time to organize the rest of your trip. This ticket, or rather, these tickets will allow you to enter the Inca city of Machu Picchu and the site museum of Machu Picchu in the town of Aguas Calientes. The amount of income is subject to the number of Machu Picchu tickets available. 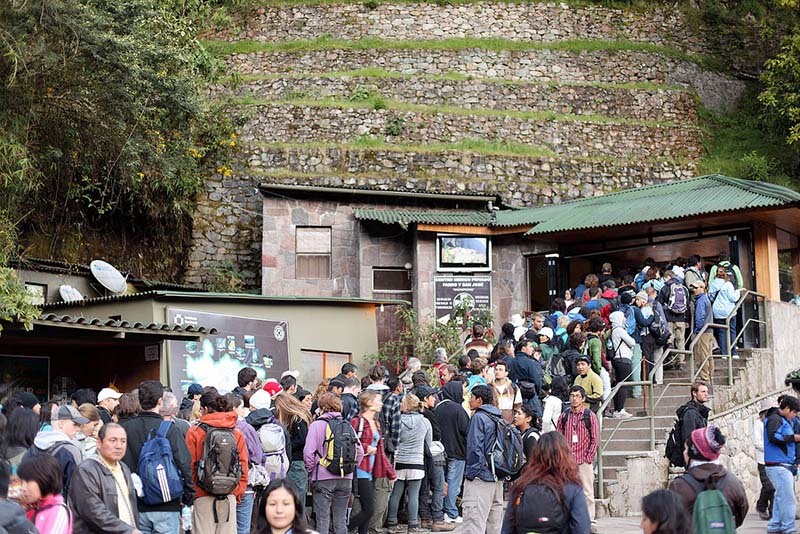 One of the tickets will allow you to enter Machu Picchu and the other to the Manuel Chávez Ballón site museum. You can book this ticket up to 48 hours before; however, as in previous cases, we recommend reserving them at least two weeks in advance. Only 500 people can travel the Inca trail to Machu Picchu every day; of these, only 200 will end up entering Machu Picchu, the others belong to the trekking team that will make it possible to hike to the Inca city (cooks, porters and guides). The 4-day trek along the Inca Trail is considered the most incredible way to enter Machu Picchu, take you from the Sacred Valley of the Incas to the “gate of the sun” in Machu Picchu, and is considered one of the 5 walks most amazing of the planet. The only way to travel the Inca trail is by hiring an authorized operator and accompanied by a certified guide. The limited number of income makes it necessary to reserve a space months in advance. You can check the availability of spaces on the Inca trail through info@boletomachupicchu.com.